Gardens can be traced back to ancient times in China, but always included the same basic elements. After the Han dynasty, Daoist ideals of disengaging from worldly concerns gave a rationale for gardens as environments in which an individual could escape the often harsh demands of a politically engaged civic life. Gardens were originally simple retreats for contemplation set in nature. Early exponents of the ideal of retreat from public life, like the legendary Seven Sages of the Bamboo Grove of the Six Dynasties period, merely sought their own retreat in a ready-made natural setting such as a wooded area or mountain stream. From the Han dynasty onward, some individuals built more elaborate precincts that were based on the models of the imperial grounds. One aristocrat lost his life for assuming for himself this royal privilege, flaunting his wealth with a collection of natural specimens similar to those previously found only in the emperor's Hunting Park. Daoist immortals were believed to inhabit remote mountain peaks and practice secret methods of elixir-making there. 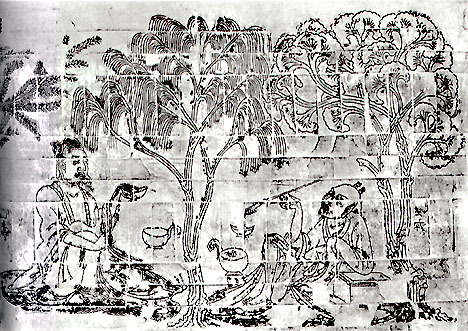 Portraits of other religious figures, like the Buddhist lohan at the left, were often situated in a landscape with magical qualities. The deer in this painting is a symbol of the Buddha because it is believed a deer was one of his early incarnations. Certain plants and animals were favored for gardens because of their associations with overcoming the limits of ordinary life. Some trees or plants, for example, grew against harsh odds, such as difficult terrain, and certain animals, such as cranes, seemed to possess an ability to survive in ways beyond human capability. What objects can you identify in this painting that might have carried such symbolic associations? Fengshui (or wind-and-water, or geomancy) also played a large role in the form a garden would take. The natural environment was interpreted by the fengshui master as a living organism, the alteration of which could positively or negatively affect the lives of people in contact with it for generations to come. Follow this link for more on fengshui. The lore of mountains and rocks, important in Chinese religion and art, was also an indispensable part of garden landscape design. Large rocks placed by themselves or groupings of smaller rocks served as analogies for mountains, which were considered sacred sites and potential resting places for immortals. 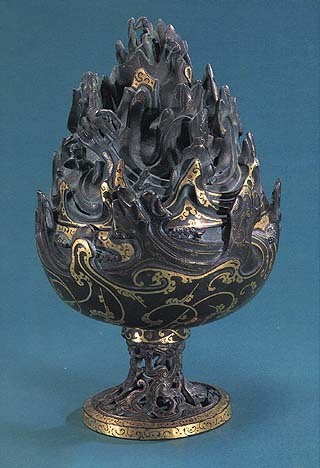 One of the most common implements found in tombs from the Han dynasty onward was the incense burner. Below is a typical example of this kind of object. What features of a mountain would appeal to a Daoist? Which features do you see here, and why might they be so exaggerated? The emperor, as guardian of the realm, sought to demonstrate a harmonious relationship with and an intimate knowledge of the forces of nature. The imperial parks were vast in territory and kept an abundance of all imaginable plants and animals, almost like a museum. Such parks replicated the emperor's realm in miniature, with man-made lakes and mountains often corresponding to real geographical features. They reinforced the emperor's role as the Son of Heaven. By the Tang dynasty, a tradition of painting the royal hunting parks as paradise landscapes had developed. 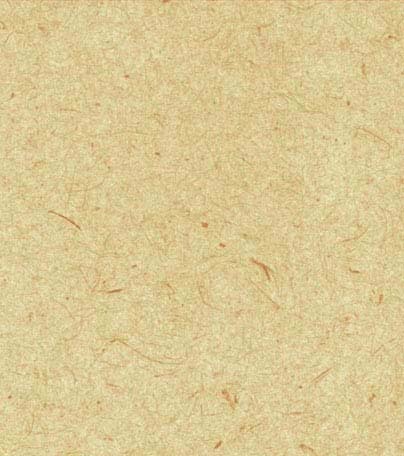 This gradually came to be applied to representations of landscapes in general. What might be the purpose of depicting such a dramatic contrast between size of people and mountains in the scene below? 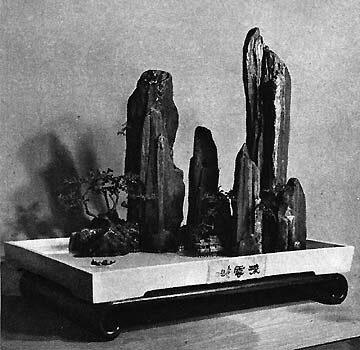 Sometime during the Tang dynasty, miniature landscapes in trays (or penjing), composed of rocks, plants and water, began to take the place of the censers (see above). These small-scale landscapes still retained their otherworldly associations. Especially favored were highly contorted rock and plant specimens. Scholars often kept these dwarfed landscapes on their desks, and one Tang dynasty court magician was said to have cultivated the ability to disappear into his tray landscape at will. 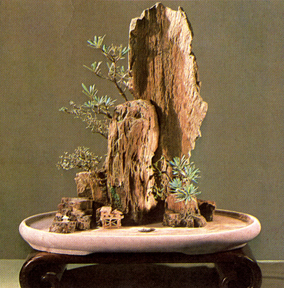 Collecting unusual rock and plant specimens became common literati pastimes from the Song Dynasty onward. The selection of plants for the garden also carried meaning. Private garden builders at first followed the examples of the emperor in collecting exotic plant and animal life in a complete miniaturized version, or microcosm of the realm. In the Song Dynasty, however, many scholars took up garden planning as a cultivated pursuit, writing handbooks on growing a wide number of flower varieties and the collecting and appreciation of unique and valuable rock specimens. There were many private retreats in the estates of scholars in and around the larger cities of Kaifeng, Hangzhou, and Luoyang. Garden construction reached a peak during the Ming and Qing dynasties, as landholding aristocratic and scholar elite families moved their main residences from the countryside to urban and suburban areas of southern cities. Suzhou in particular became a place of refined culture, renowned for its canals and mild climate, as well as the ready availability of garden building expertise.